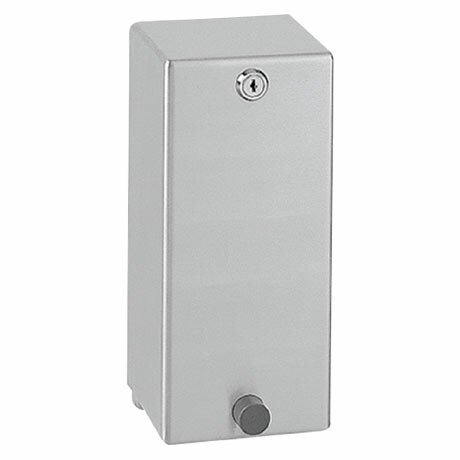 The SD300 heavy duty soap dispenser is ideal for commercial use with its 2mm thick satin finished stainless steel construction and security lock. For use with liquid soaps and lotions it features a 1 litre soap tank and push button dispenser. The robust casing is held in place by a stainless steel rod fixed to the mounting plate and the security lock. Includes stainless steel screws and dowels.